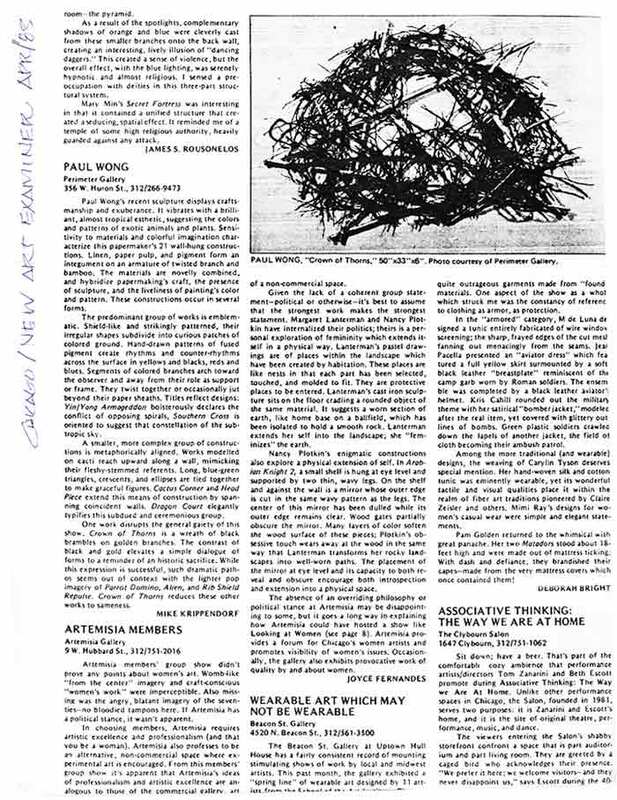 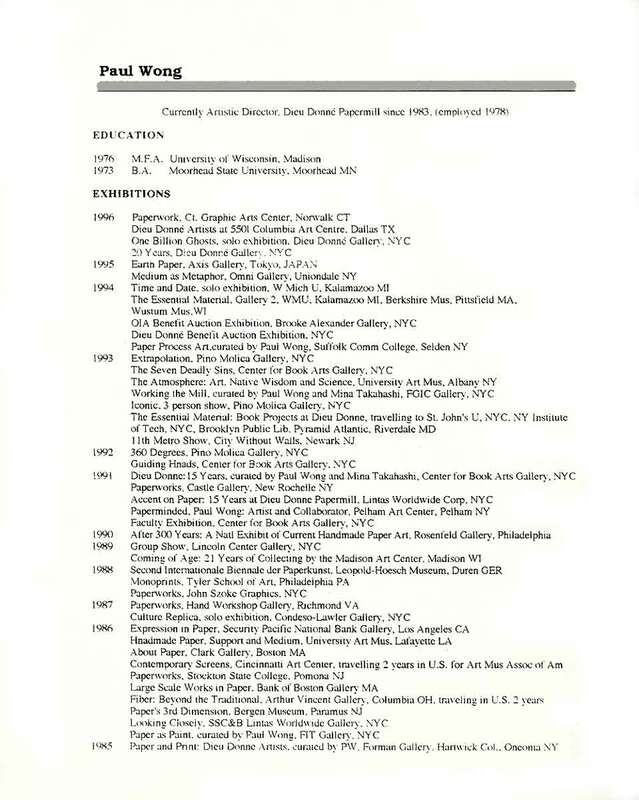 Exhibition catalog for "Paper Spaces" at Neuberger Museum of Art, NY, from Jul. 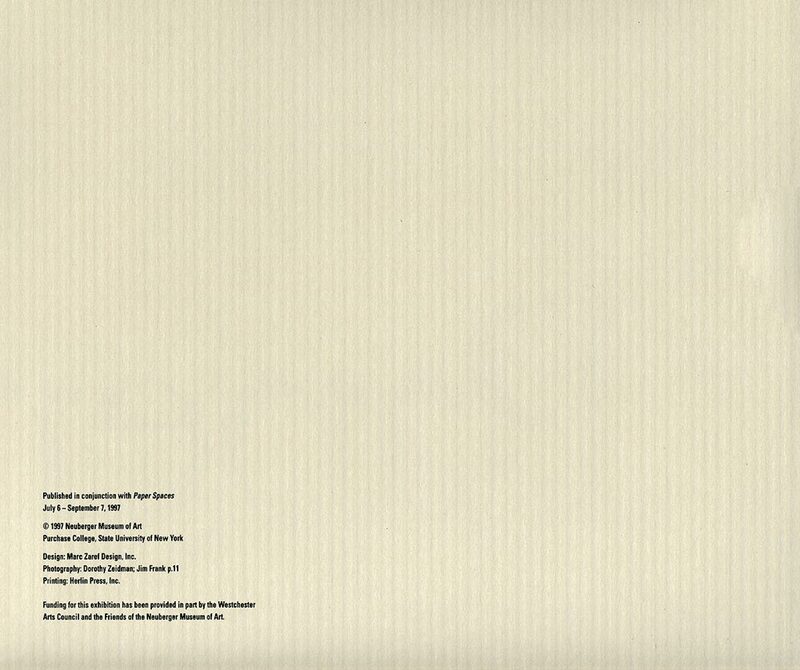 6-Sep. 7, 1997. 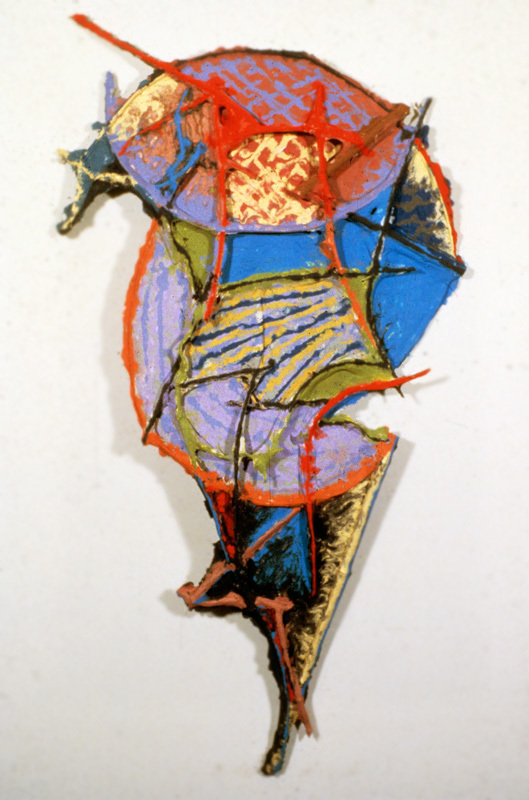 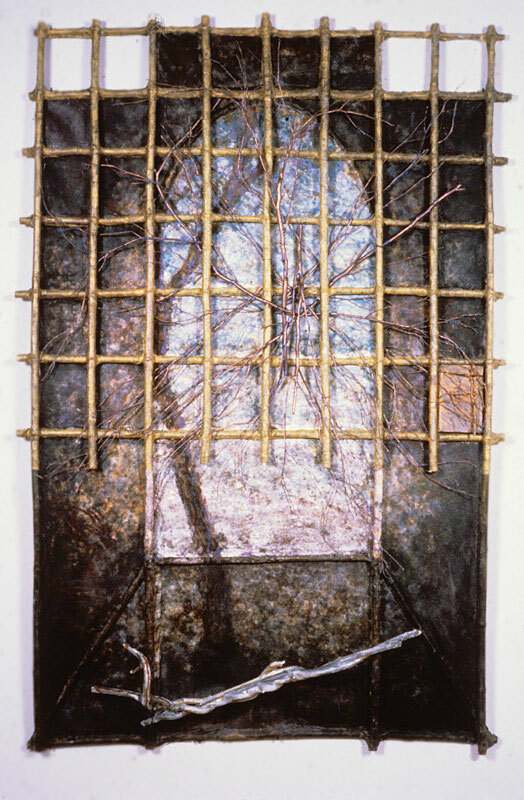 Essay "Handmaiden in the Castle" by Judy Collischan. 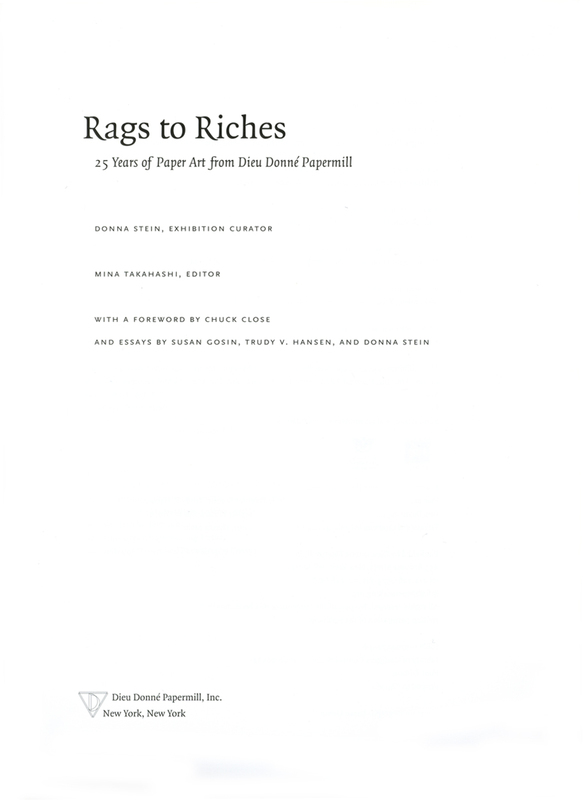 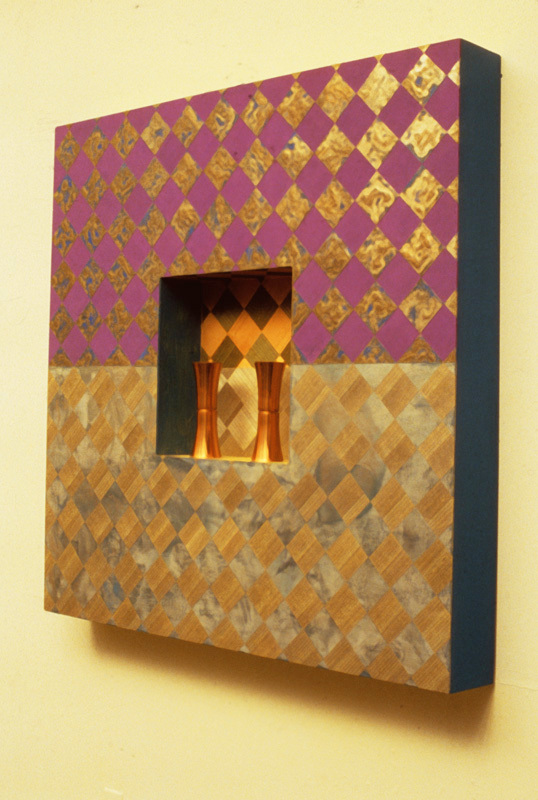 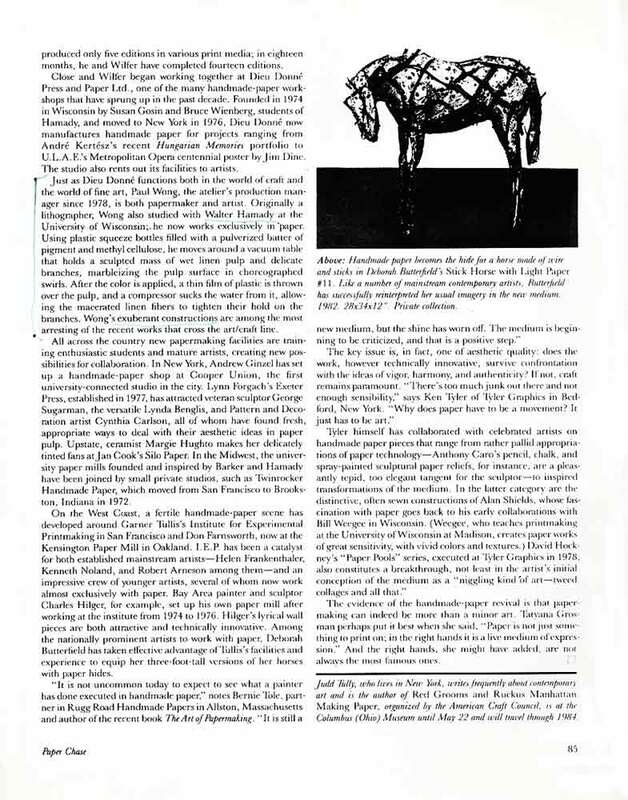 Exhibition catalog for "Rags to Riches" at several locations, from Sep. 4-Nov. 2, 2003. 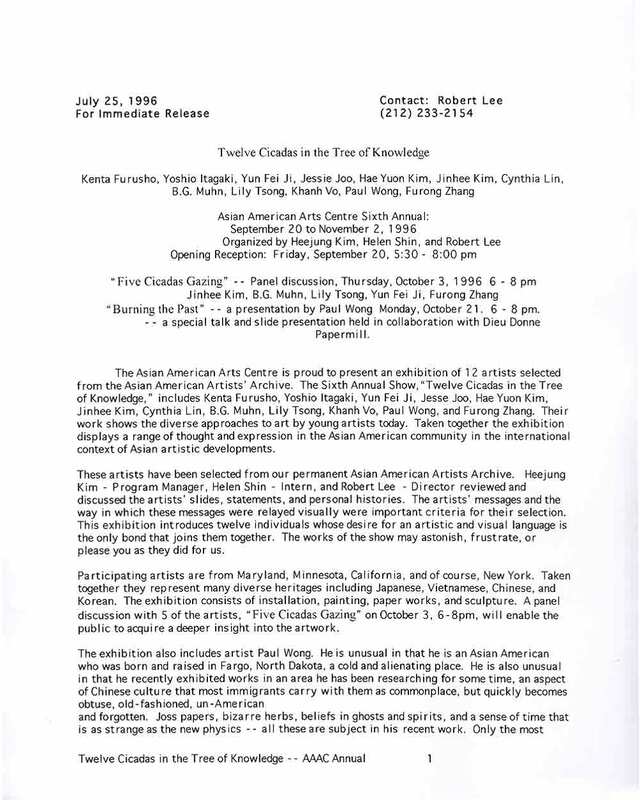 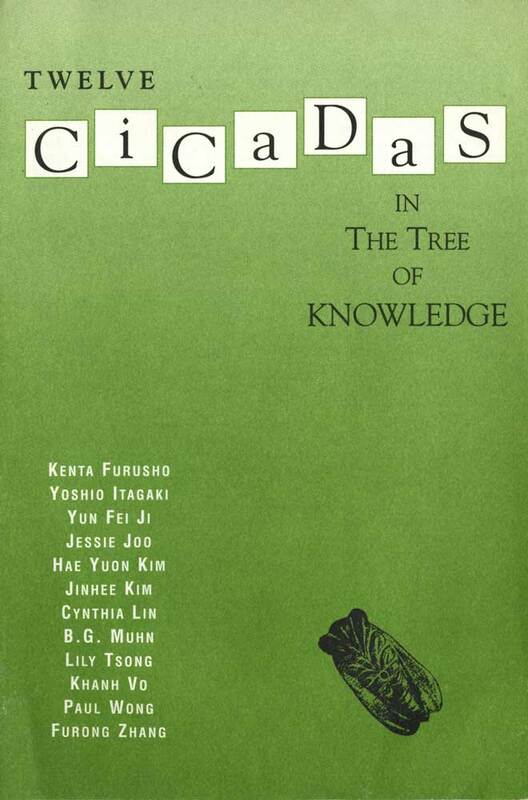 Exhibition flyer for "Twelve Cicadas in the Tree of Knowledge: Asian American Arts Centre 6th Annual Show" at Asian American Arts Centre, New York City, from Sep. 20-Nov. 2, 1996, with artists Kenta Furusho, Yoshio Itagaki, Yun Fei Ji, Jessie Joo, Hae Yuon Kim, Jinhee Kim, Cynthia Lin, B. G. Muhn, Jane Tsong, Khanh Vo, Paul Wong, Furong Zhang. 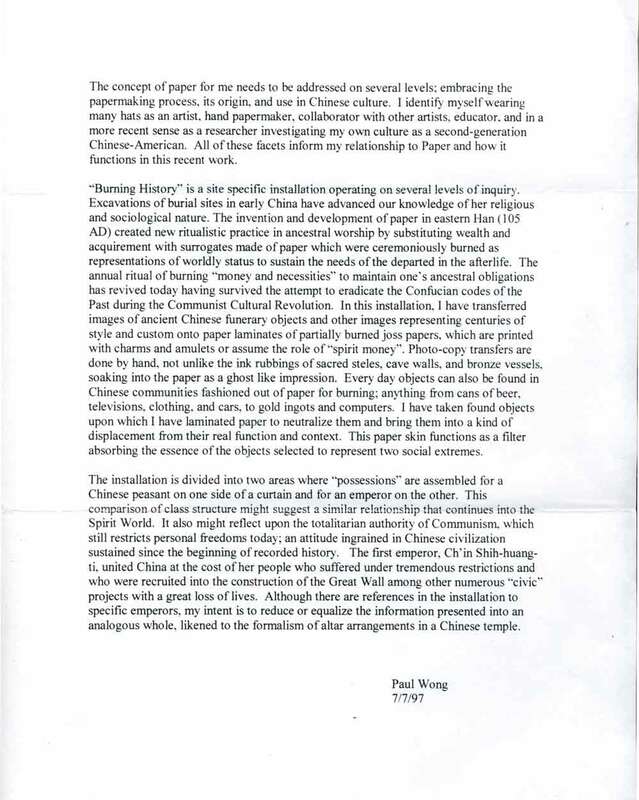 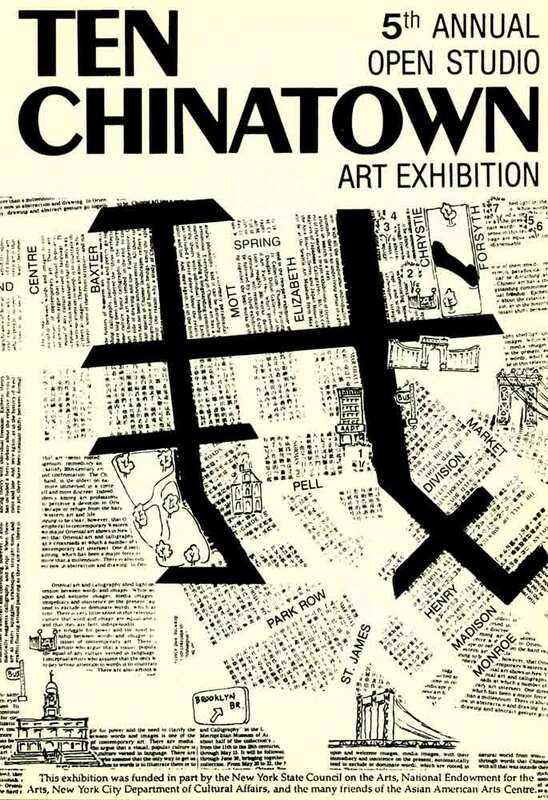 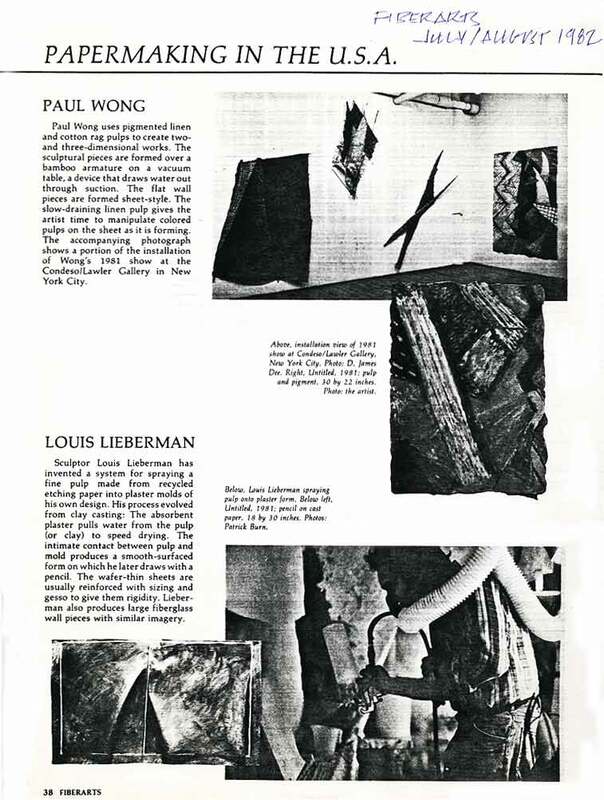 Exhibition postcard for "Ten Chinatown: 5th Annual Open Studio Art Exhibition" at Asian American Arts Centre, New York City, from Oct 6-31, 1988. 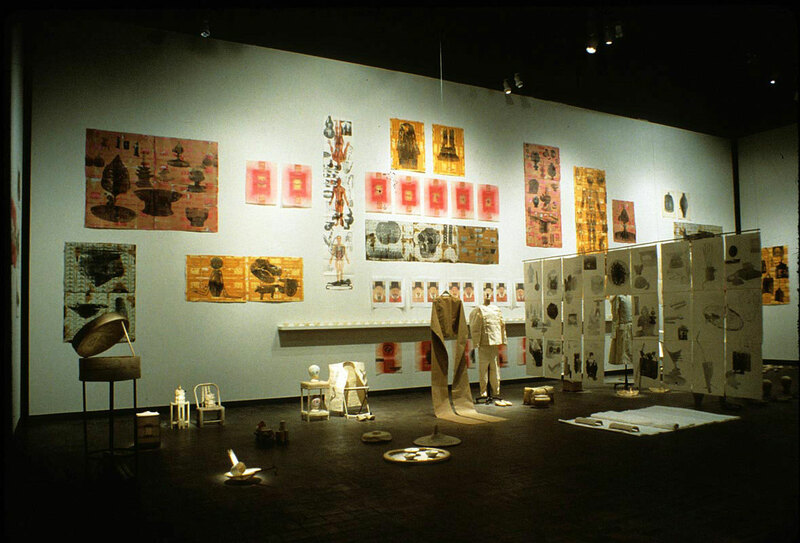 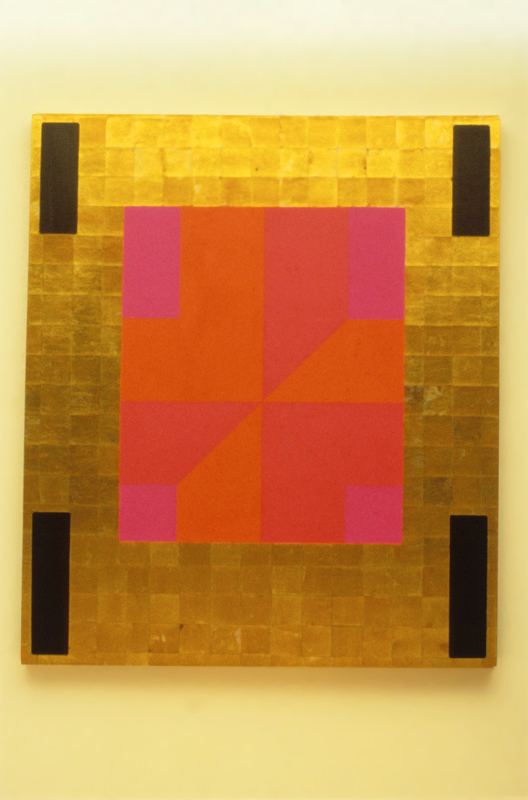 Artists participating in group exhibition: John Allen, Rashid Arshed, Sun Joon Choh, Goro Fuji, Sue Kwok Gross, Ken Hiratsuka, Kazumi Matsumoto, Hilda Shen, Toyo Tsuchiya, and Paul Wong. 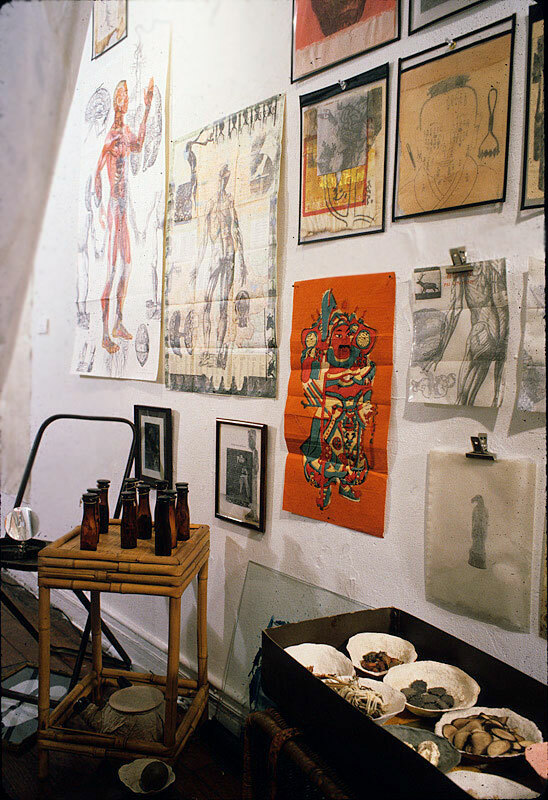 Artists participating with open studios: John Defazio, Bruce Edelstein, Arlan Huang, April Vollmer, Lee Brozgold, and Arleen Schloss.